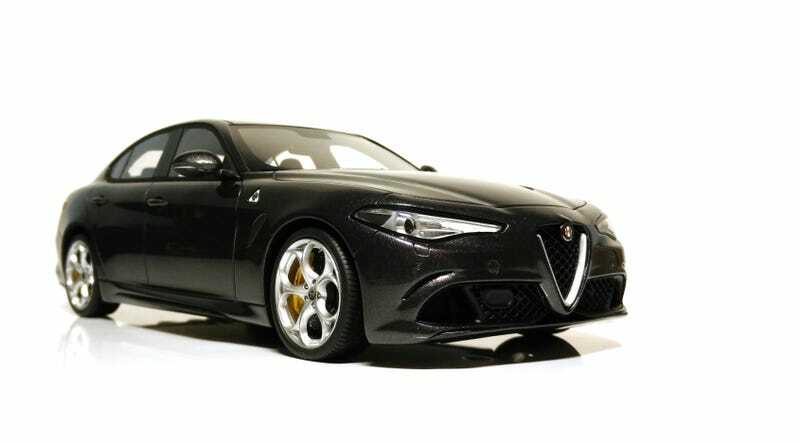 The Giulia makes a reappearance. I teased it a few weeks ago, but in none of those photos did I show the car in its entirety. The 4-leaf clover symbolizes luck, and it’s a perfect way to describe this find. Of course it was a steal. What else could it be? For $130 shipped, I ran away with this BBR. I wanted it in red, but you can’t always have it your way. As for the model itself, I would put it as solid. It comes in a fancy box and acrylic display case. The paint quality shines above all. For the sticker price, one would expect a better interior, but all other areas are sufficient. The Giulia is, in my opinion, the best-looking car in production today, and I’m glad I now have one I can stare at all day.